Kelsey & Heather’s review on neuronal autocrine signaling was published in Current Opinion in Neurobiology. Colleen & Heather’s review on the function of neuronal FoxO transcription factors in plasticity was the cover of TiG! MSTP Dan Jindal joined our lab. CWRU undergraduate Nova Qi joined our lab. Congratulations to Kendall for receiving the 2017 Lenore A. Kola Graduate Student Community Service Award! Congratulations to Priya for a successful poster presentation at the CWRU Intersections Poster Session! 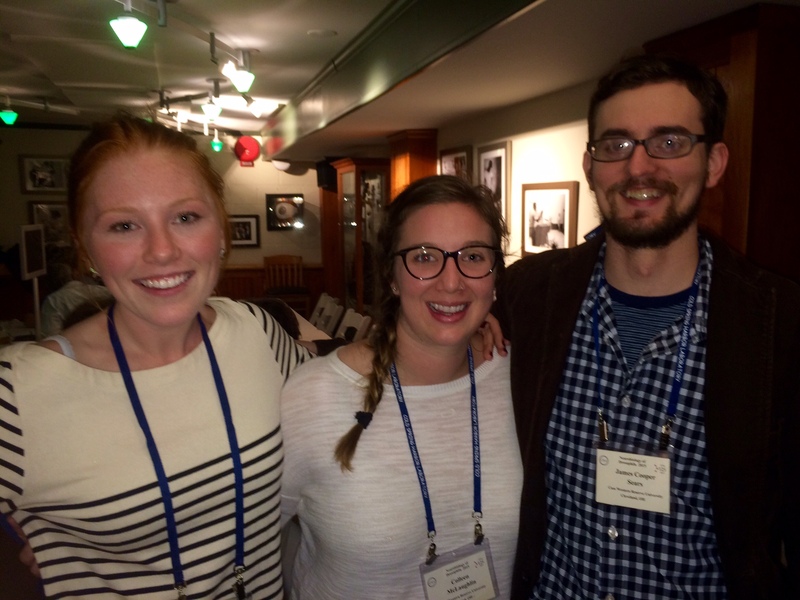 Congrats to Kelsey and Kendall for winning poster awards at the International BMP Conference in Boston! Congratulations to Jim for a successful thesis defense! Congratulations to Tiffany for presenting a poster of her work at the Department of Physiology and Biophysics retreat! CONGRATS, JIM! His paper is currently in press at Developmental Biology. YAY! Congratulations, Colleen! Her paper is currently in press at The Journal of Cell Biology. The Broihier lab went out for a celebratory dinner. Huge congratulations to Colleen for receiving the UHNI Brain Health Educational Grant! She will be attending the Spring Brain Conference in Sedona, Arizona this month. Congrats to Jahci for winning best presentation at the Charles R. Drew Saturday Academy at the Cleveland Clinic. 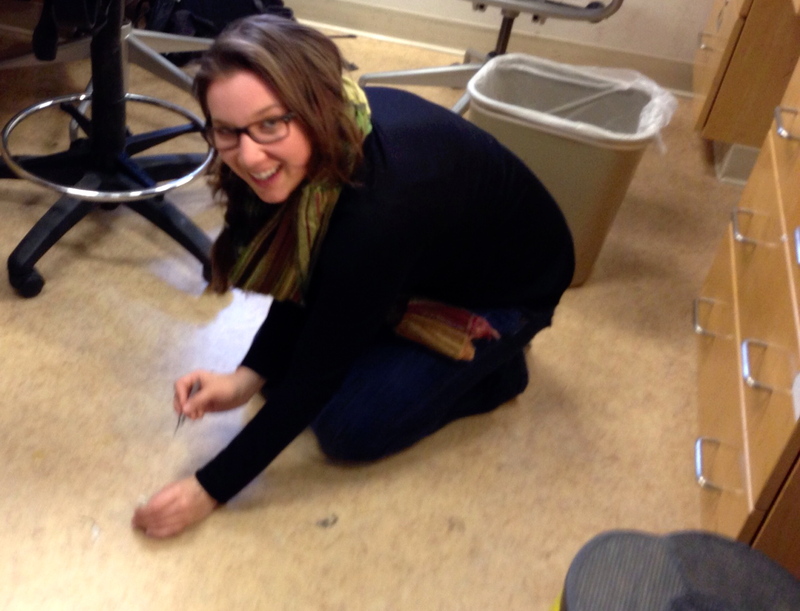 CWRU graduate student, Kelsey Herrmann, joined our lab! 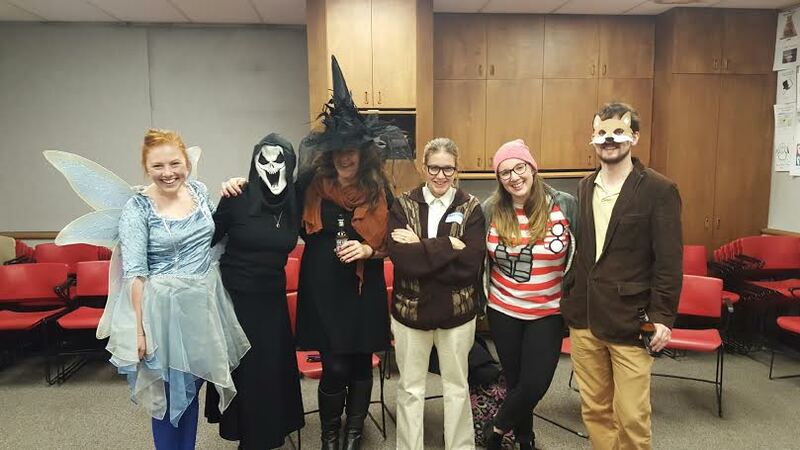 Happy Halloween from the Broihier Lab! Congratulations, Kendall! She received an award for the best pre-candidacy journal club of the 2014-2015 academic year. Heather, Colleen, Kendall, and Jim had a great time and learned a lot at the Neurobiology of Drosophila meeting at Cold Spring Harbor. There are new pictures from the meeting posted. Jahci, a local high school student, joined our lab! Welcome to the lab, Dallas Eckman! Broihier lab had a great time at the 56th Annual Drosophila Research conference. Check out our pictures from Chicago! Two new CWRU undergrads, Karbi and Priya, joined our lab! We are excited for them to begin screening for upstream regulators of FoxO. Welcome to the lab new graduate student, Kendall Hoover! She joins us by way of Boston University and will be continuing the Crimpy project. Congratulations Becca James on a successful thesis defense! 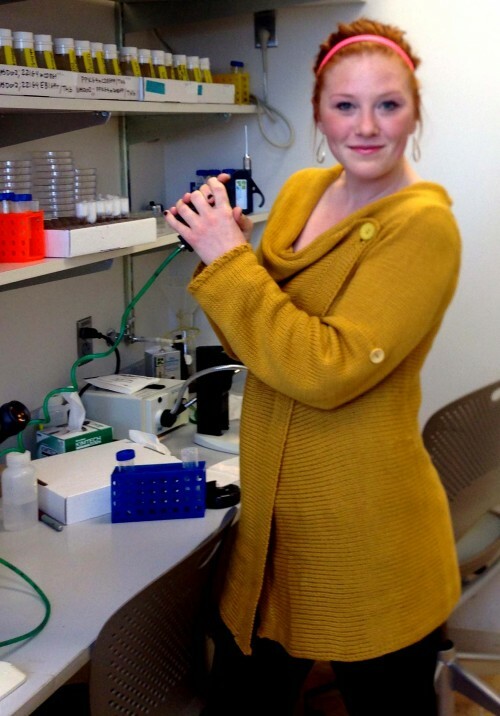 Colleen McLaughlin, graduate of the University of Tennessee, joined the lab. Her predoctoral work focuses on the upstream mechanisms of FoxO signaling at the neuromuscular junction. 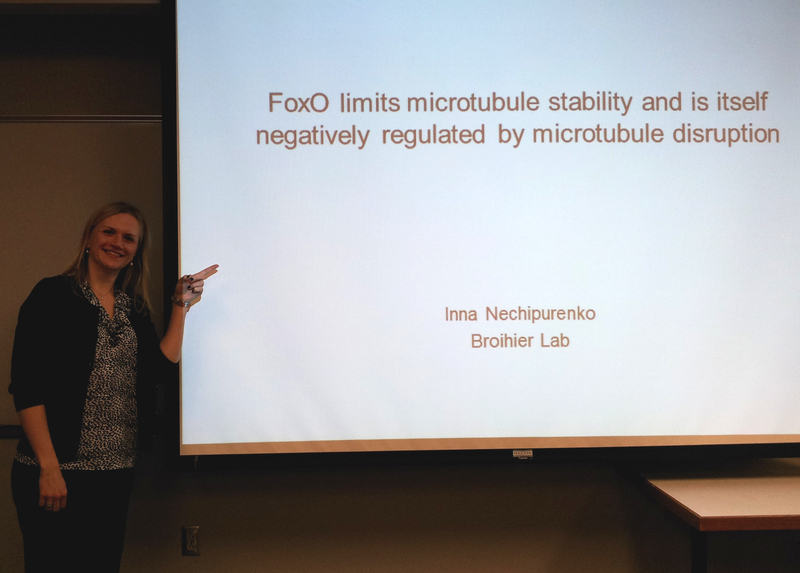 Congratulations Inna Nechipurenko for receiving the 2012 Arthur Hughes Prize for outstanding doctoral thesis in Developmental Biology at CWRU! Congratulations to Becca James for getting our first recordings! 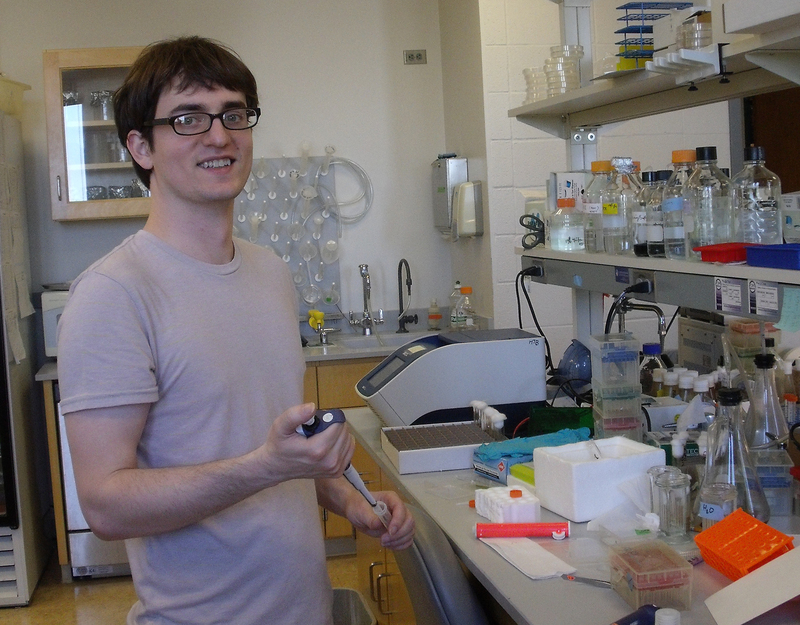 We welcome new graduate student Jim Sears to the lab by way of Notre Dame. He is studying FoxO function in the sensory nervous system.